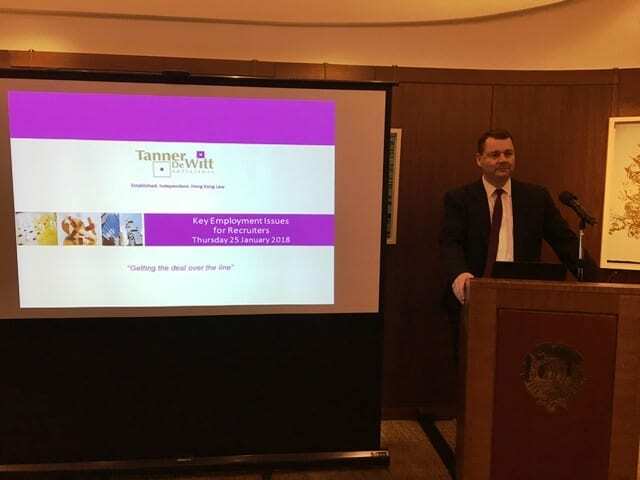 On the morning of Thursday 25 January, the Harcourt Suite of the Hong Kong Club was filled to the brim with 35 recruitment professionals for a talk by Employment Partner Russell Bennett. 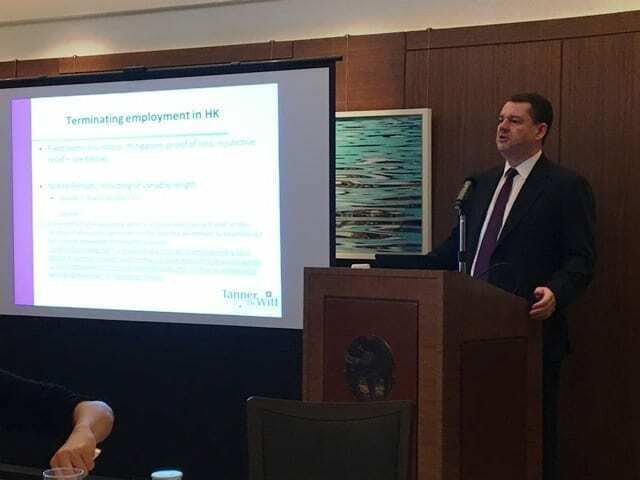 Entitled Key Employment Issues for Recruiters, this is the second year that Russell has made this talk; last year’s was also very well received by labour industry professionals. The presentation’s main topic was getting deals ‘over the line’. Recruiters often run into roadblocks with candidates or clients; Russell’s presentation was on how to navigate around these skillfully. 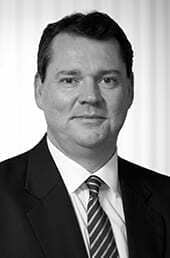 There were sections on terminating employment in Hong Kong, deferred remuneration and bonuses, and the drafting and enforcement of post-termination restraints. Recruitment firms should note that Russell is able to give this talk internally. For more information, please contact Lizzie Fraser, Marketing and Business Development Manager at lizziefraser@tannerdewitt.com.